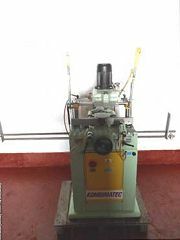 This Kombimatec CRD1200 router is in excellent condition. The name plate says refubished in 2011, and as you can see from the pictures, it looks like it also. 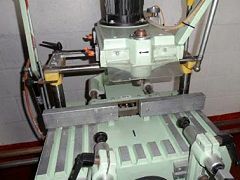 It has the espag triple drill unit at the back and single copy router on the top. It is for routing sashes mainly, but can be used for door locks and keeps or any other type of routing using the top cutter.